An undergraduate degree in physics can lead to any number of exciting careers, and there are many great undergraduate degree programs to choose from; by choosing from a list that ranks bachelor of physics programs with the best return on investment you will be making sure the money you put in to your education provides you with a secure future in the field of physics. Many think of physics as an academic career, performing research in universities and this is one of the possible careers, but by no means the only, or even the primary career for physics degree holders. Physicists are sought out by many high tech companies looking to apply cutting edge research to their products and services, and studying physics as an undergraduate can often prepare students for the study of other sciences. There are also numerous interdisciplinary applications of physics, making it one of the best choices for students who want to keep their options open. According to the BLS, physicists vie with engineers and computer scientists for high median pay, and many with just undergraduate degrees can still earn the top figures in the field. The median pay for physicists is over $105,000 per year according to the Bureau of Labor Statistics, making it one of the highest paying fields in the modern world. The physics degree ranking list below is designed to help prospective physics majors choose a school with a high thirty year net return on investment, that will give students the best opportunities in the field at the undergraduate level. Universities were included in the list according to their inclusion in the top 25 ranking of the Academic Ranking of World Universities for Physics. The schools were then ranked from the highest to lowest 30 year net return on investment as reported by payscale.com. This Physics Degrees ranking list will help students discern the best value among affordable undergraduate physics programs, so that they are sure they are spending their time and money in the most optimal fashion. U.C. Santa Cruz students are encouraged to involve themselves in physics research at every opportunity. The most common way to accomplish this is to take a job as a research assistant. Not only does your part time job allow you to earn some money while at school, but it serves as an education in and of itself. At OSU even undergraduate students can get funding for research projects through the Physics Summer Research Program. This program allows student to conduct research through the summer with a faculty mentor overseeing the project. Most attractive about this program is the opportunity for students to begin thinking like a physicist early in their academic career, and to allow them to develop a feel for conducting research based on their own curiosity. The University of Massachusetts is one of the foremost public research universities in the world. Students at UMass are encouraged to become involved in the many research opportunities at the university. Some examples of past projects with undergraduate student involvement are: Parameter estimation for gravitational wave bursts, Characterization of a Nal detector for gamma rays, and many more. Students taking advantage of these opportunities will gain experience while having an impact on the field during even their earliest years of study. 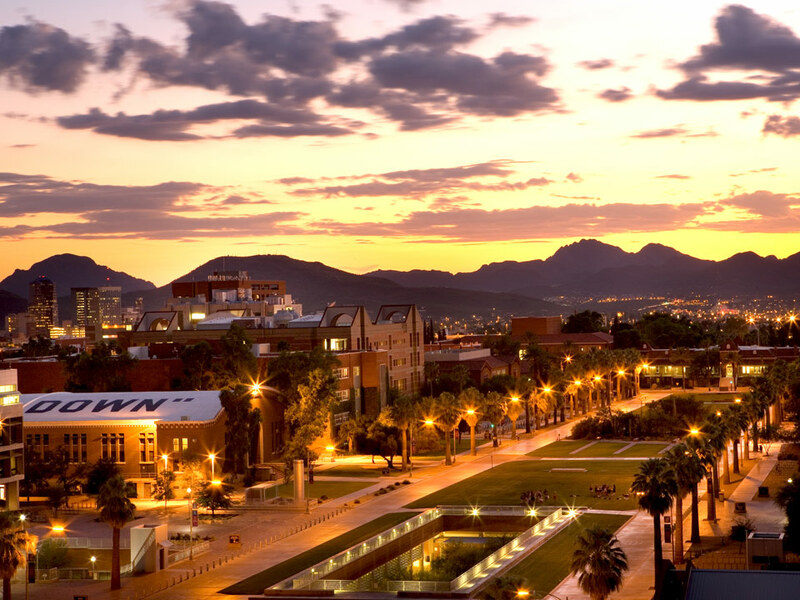 The faculty at the University of Arizona is heavily involved in some of the most cutting edge physics research in the world. Students will be learning from professors actively involved in pushing the field forward in meaningful ways. On top of this, students are encouraged to pursue research in physics, whether through independent projects, or involvement in some of the university's most exciting research projects. The University of Chicago is one of the most respected universities in the United States. The approach to involving undergraduates at the University of Chicago is less focused on programs and more focused on researchers and professors developing relationships with students. Often times the best way for a student here to become involved in research is for that student to develop a relationship with a professor whose work genuinely interests them. The professor will often then find a way to incorporate the student into his or her work. The University Physical Society at the University of Wisconsin helps students find research opportunities both on campus and through summer research opportunities at other schools. Students are encouraged to look for employment within the physics department that will allow them to engage in physics research in a professional capacity from the very beginning. At U.C. Irvine undergraduates do research. This is made possible by the massive research funding the school receives due to their research focus. However, U.C. Irvine places an equal emphasis on the quality of their teaching. Many large research universities have professors that neglect their teaching because they are so wrapped up in research. This is not the case at U.C. Irvine. Students attending the school can rest assured they are at one of the best physics programs for both the accessibility of research and quality of teaching. The University of Colorado-Boulder is a participant in the National Science Foundation Research Experience for Undergraduate program. This accredited undergraduate physics degree program provides students a chance to travel to other participating schools for summer research programs where they have the opportunity to gain real research experience working in a different environment. Some of the research areas available to participants in the program include Biophysics, Elementary Particle Physics, Geophysics, and Condensed Matter Physics, among others. UCLA is a massive research university and provides students with many opportunities to engage in cutting edge research even at the undergraduate level. There are several on campus research institutes at UCLA that provide summer opportunities for students who want to pursue research outside of the school year. These institutes include the UCLA McNair Summer Research Institute and the Physics and Astronomy Summer Program. Research opportunities are numerous at the University of Michigan Ann Arbor. Students can participate in the summer Research Experience for Undergraduates program which is sponsored by the National Science Foundation. The program enables students to spend the study engaging in research at another participating university. Other opportunities include the Undergraduate Research Opportunities program, getting a job as a paid research assistant, independent study, and the senior thesis project. 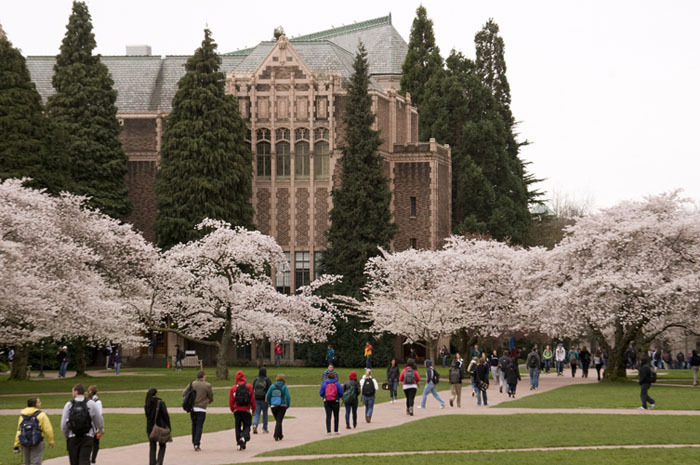 The physics research at the University of Washington spans nearly every major field of physics from particle theory to precision measurement. Undergraduates will have a chance to participate in this research, and also the chance to take a summer through the National Science Foundation's Research Experience for Undergraduates program to engage in research at another participating university. The University of Texas Austin is one of the best public scientific research universities in the United States. One of the cornerstones of the physics program at UT Austin is providing every undergraduate the chance to be a part of the cutting edge intellectual research community at the school. UT Austin is also a part of the National Science Foundation's Research Experience for Undergraduates program which allows students to explore research opportunities among other participating universities. One of the top ranked research institutions in the United States, UMCP offers a wide range of research opportunities for undergraduate physics majors. There are a variety of ways for students to become involved in research, and the school encourages all undergraduate students to take part in the valuable research opportunities available to them. Another top U.S. public school, UCSB has a thriving undergraduate research culture. All undergraduate physics majors are encouraged to participate in research as it is seen as fundamental to growth in the physics field. The primary vehicle driving undergraduate research at UCSB is the Undergraduate Research and Creative Activities unit which encourages and facilitates independent research projects for undergraduate students. There are also several research facilities at the school where students can gain valuable research experience. The University of Illinois Urbana Champaign is one of the United States' top public schools. In addition to its high Academic Ranking of World Universities ranking, the University of Illinois Urbana Champaign was ranked as a top ten university in physics in the United States by the National Research Council of the National Academy of Sciences. The school features many opportunities for undergraduates to engage in research both at UIUC and other partner institutions. While Johns Hopkins is most renowned for its medical school, it maintains a long history of high standards of education across the sciences. Undergraduates will have access to various research fellowships and awards. JHU has always been a highly research focused university and is committed to enriching the education of undergraduate students by involving them in research from the very beginning. 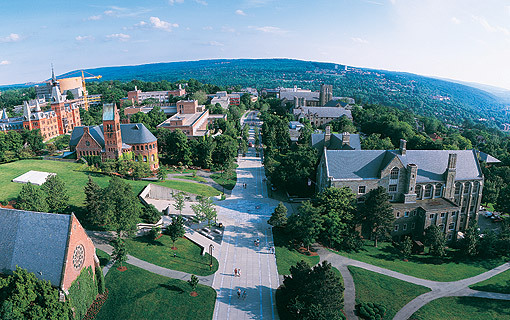 Research opportunities for undergraduate students at Cornell are numerous. One of the primary strategies for landing a job working on research as an undergraduate at Cornell is to develop relationships with professors. Not all positions at the school are openly advertised, but students that distinguish themselves and express an interest often find many opportunities in front of them to both earn money, and gain valuable experience in their field. The physics department at Columbia University is small with only 20 undergraduate and 100 graduate students admitted per year, and 35 faculty. There is a heavy research focus at the school and undergraduate students receive much individual attention and mentorship, especially in their junior and senior years. The student to faculty ratio for undergraduate juniors and seniors in the physics department at Columbia is an astonishing 3:2 which truly allows students and professors to maximize the time of undergraduates in those crucial years. With a strong reputation for academic excellence, the University of Pennsylvania is one of the top schools in the United States. There have been eight Nobel laureates within the last ten years that have been associated with UPenn, an impressive number. Though not all of those prizes were in physics, it serves as an example to the University's commitment to groundbreaking research in the sciences. Undergraduate students will have an opportunity to learn under some of the greatest minds in the world of physics. The Research Experience for Undergraduates Program at UPenn is sponsored by the National Science Foundation and provides students with the opportunity to begin engaging in important research while in the early years of their academic career. U.C. 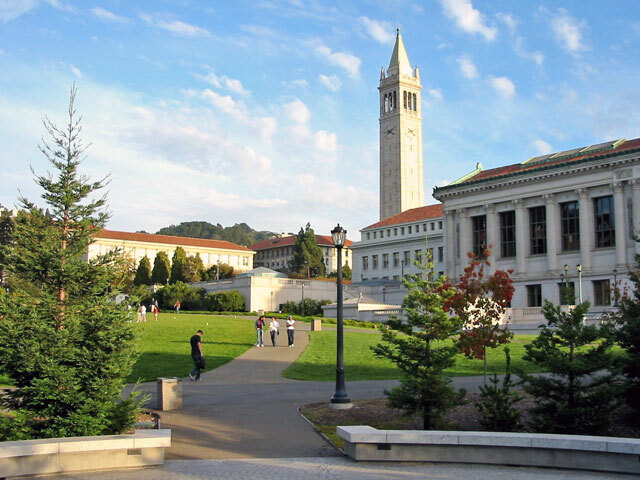 Berkeley boasts not only one of the highest net return on investments among public schools, but also one of the highest in the United States. The school is also highly ranked by the Academic Ranking of World Universities for its physics program. Undergraduate students will have a chance to develop their research skills if they so desire, through U.C. Berkeley, Atomic, Nanoscale, and Quantum Characterization Facility, which is specifically devoted to allowing undergraduate and graduate students to gain experience in research and develop their skills through various training opportunities. Princeton has a wide range of opportunities available to undergraduate physics students who wish to gain research experience. Every student gains some research experience as each does a senior thesis project which begins training them to take initiative early in their career. There are also numerous opportunities for students to engage in research through internships at Princeton or any number of the worldwide network of labs and research centers with which Princeton has connections. Harvard is well known for its prestigious Law and Medical programs, but it is also ranked #1 in the world by the Academic Ranking of World Universities for its physics programs. Harvard has two physics research centers that support undergraduate level student research in the field: Harvard Quantum Optics Center and the Center for Ultracold Atoms. These opportunities provide students with a chance to dive into physics research early in their academic careers. The Stanford undergraduate program in physics features a senior thesis program in which students pursue research in their specialty, and an optional honors program where additional research experience can be acquired. Stanford also provides undergraduate students research opportunities both on campus and abroad through the summer research program. Stanford University is one of the premier universities in the United States for the study of the sciences, and with the school's heavy research focus, students will find themselves with many opportunities to be involved with cutting edge research in the field while earning their undergraduate degree. MIT is well known to be one of the foremost epicenters of scientific research in the world. Physics students are given the opportunity to engage in research projects and develop their own research ideas through the Undergraduate Research Opportunities Program. Another opportunity for undergraduates that distinguish themselves is the MIT Summer Research Program, which seeks out high potential individuals and provides them with the opportunity to be involved in major research at the school. Cal Tech is a world renowned university for its work in the sciences, engineering, and technology. The school is the home of the award winning Cal Tech Undergraduate Research Journal, where students are able to gain first hand experience with the world of academic publishing by writing, editing, and evaluating works in their field. Cal Tech's 30 year average net ROI is also among the very highest in the United States. This is due to the fact that Cal Tech's strongest programs lead to jobs in some of the highest earning fields, and Cal Tech graduates often achieve great heights in their specialties. Earning a bachelors degree in physics prepares future scientists for graduate programs in physics and a plethora of exciting job opportunities. While doing researching on the best undergraduate Physics bachelor's degrees, be sure to consider this list of top-ranked bachelor of physics programs with the best return on investment.